More smart devices, one smart app. 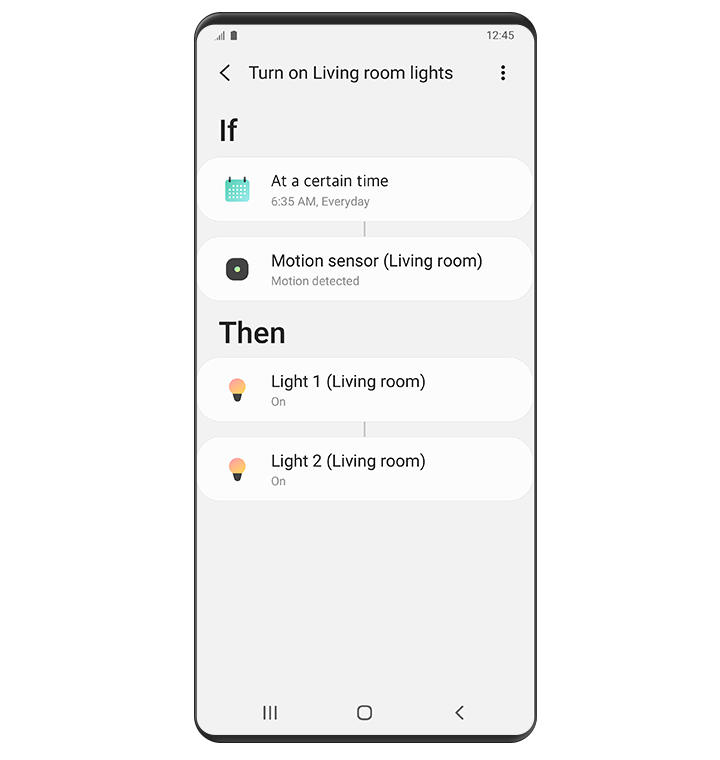 Connect, automate, and manage all your Samsung and SmartThings-compatible appliances and electronics with a single, easy-to-use app. Because smart should be simple, however many devices you bring home. Connect a whole house of devices. SmartThings works with a growing number of devices. Just look for the "Works with SmartThings" label. 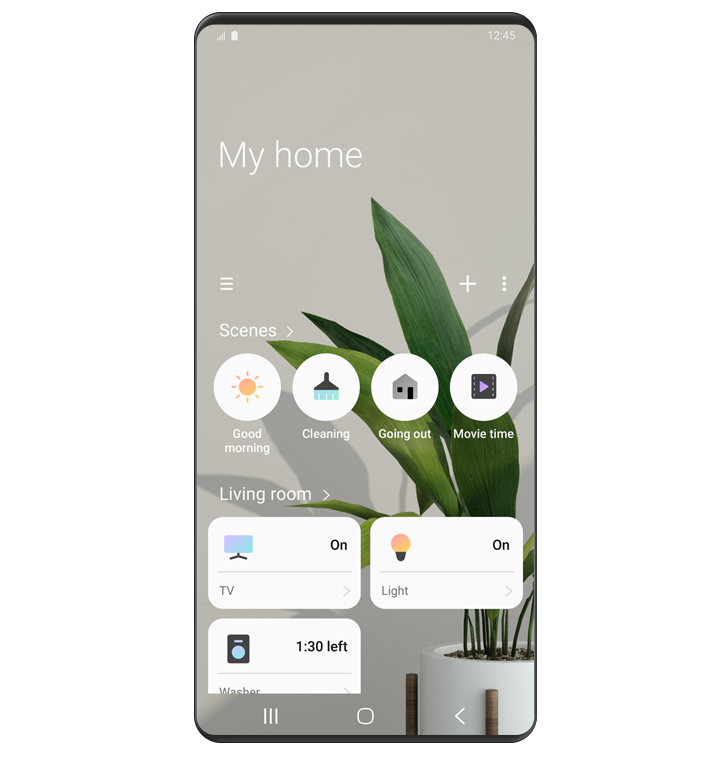 Access SmartThings features across a family of Samsung products, including smart phones, TVs, and fridges. Dim the lights right from your TV's big screen and you're ready for movie night. Control other smart home devices right from your Family Hub fridge. Use your Samsung Smartwatch to start the dryer as you head out for a run. Getting started is easy with a Samsung Account. Once you've created your SmartThings profile, the app automatically finds compatible devices. When you're ready, invite family and friends with just a few taps. 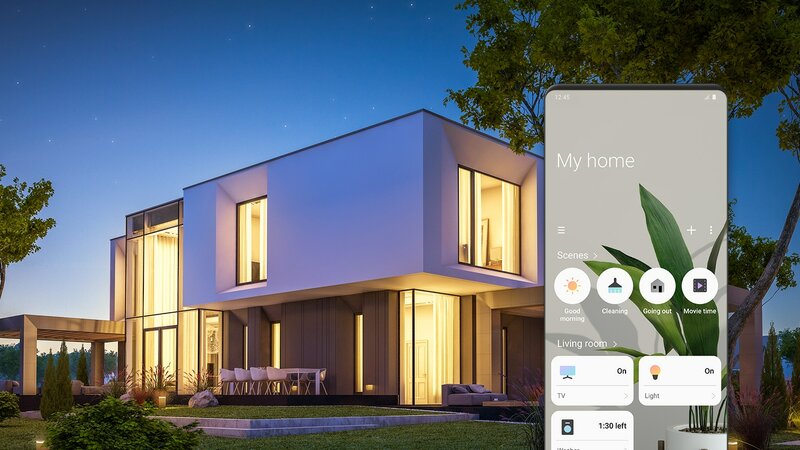 SmartThings connects Samsung smart devices with each other so they can work together to make your home even smarter. 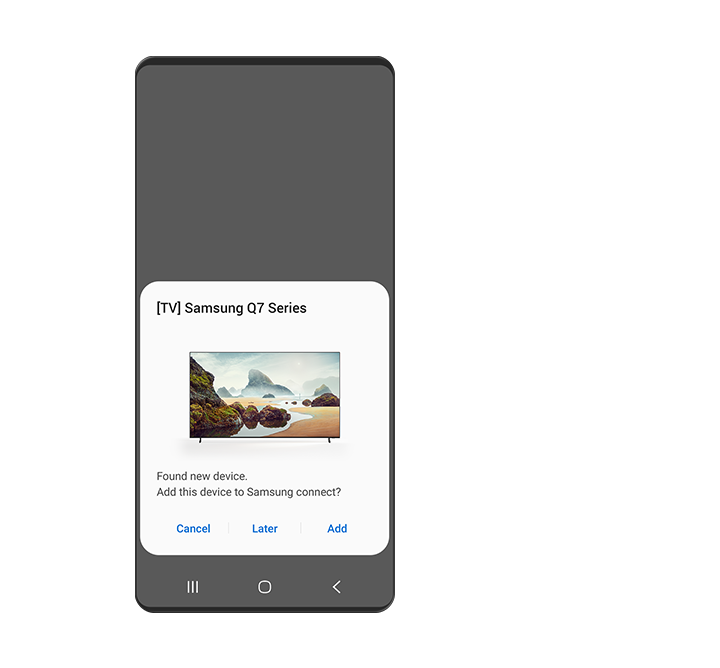 Start a movie on your smartphone during your commute and easily switch to your Samsung TV when you get home. 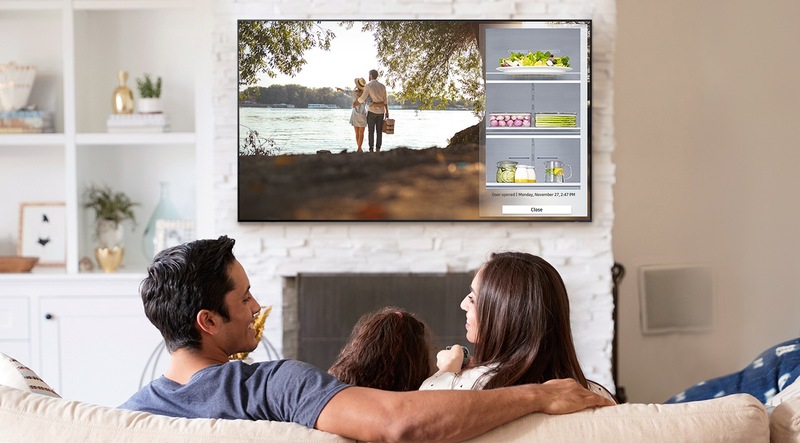 See the inside of your Samsung fridge on your Samsung TV before you get up for a snack. Connect multiple Samsung speakers and you won't miss a beat when you move from room to room. We are making more and more devices seamlessly connected. Make your home smarter with custom automation. Create schedules and scenarios, and let SmartThings do the rest. It can even suggest new smart ways to automate your day. Automate your home using data such as time, location, or temperature. Set the sprinkler to turn on at sunrise or the lights to come on at sunset. or one that puts the house to sleep when it's time for bed. 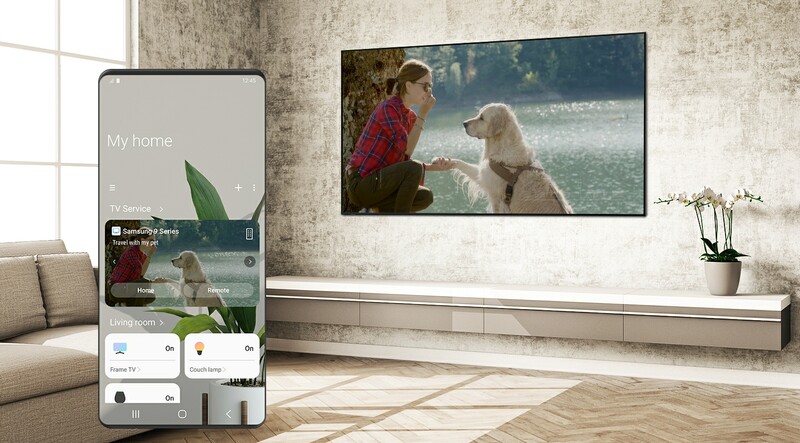 Use Bixby on your Galaxy phone to control your smart devices by voice. Adjusting the temperature or playing music is as simple as saying it. Download the SmartThings app now. * Each device must be connected to Wi-Fi or other wireless network. * For interoperability through SmartThings, all the devices should be registered with a single Samsung Account. * Please find 'Works with SmartThings' logo on the product or product package. * Images and UX simulated for illustrative purposes. * "Bixby" is limited to selected languages and certain accents/dialects.